In 2017 we are back with our tutored life drawing workshop series. Join us for a tutored figure drawing class or classes in one of the most picturesque locations in Paris. The workshop series focuses on the foundations of figure drawing and provides a perfect introduction to life drawing. The sessions are centred around a main topic, such as body proportions, composition, use of light and shadow, or a particular pose. However, during each workshop we will also touch upon numerous aspects of figure drawing so you can always join in even if you have missed previous sessions. All workshops feature a live model and include basic drawing materials. The topics for each workshop are outlined below. We kick off with a Light and Shadow session on the 21st January, to help make your drawings look even more realistic! The sessions are open to everyone and beginners are especially welcome. 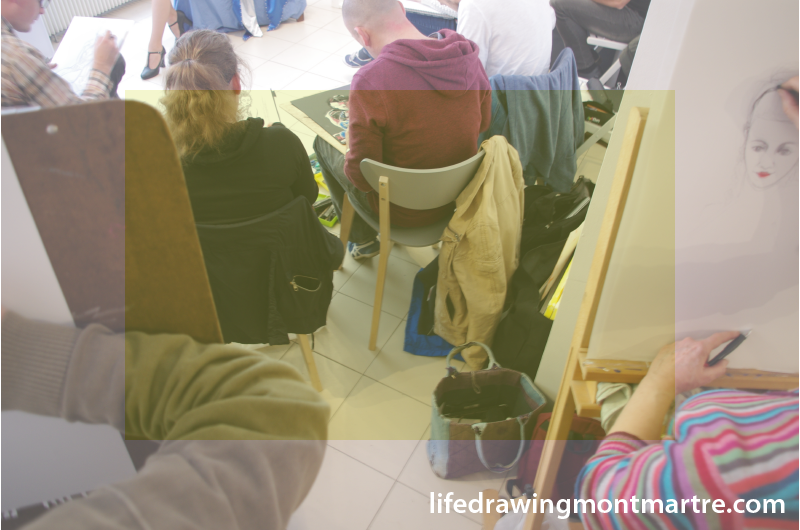 To book your spot please visit the Life Drawing Montmartre meet-up page.